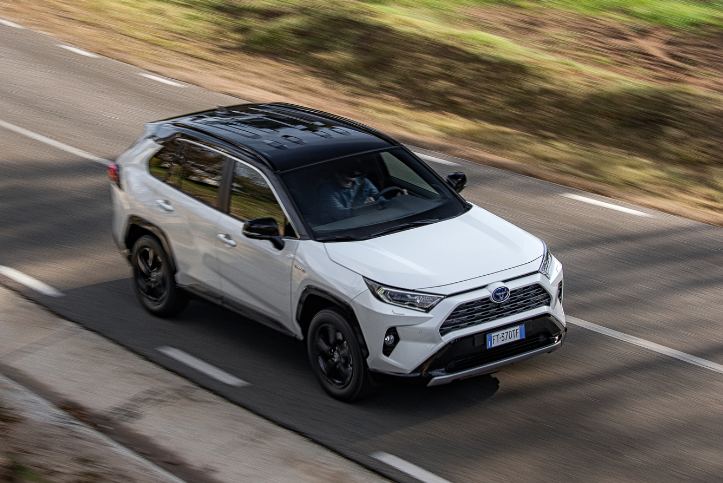 The new RAV4 looks very different and more confident. 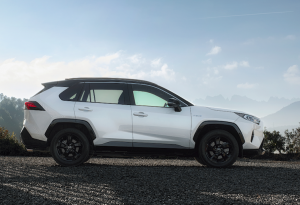 Toyota’s designers were given the gift of a blank sheet of paper thanks to a brand new global architecture that now underpins the five-seater. 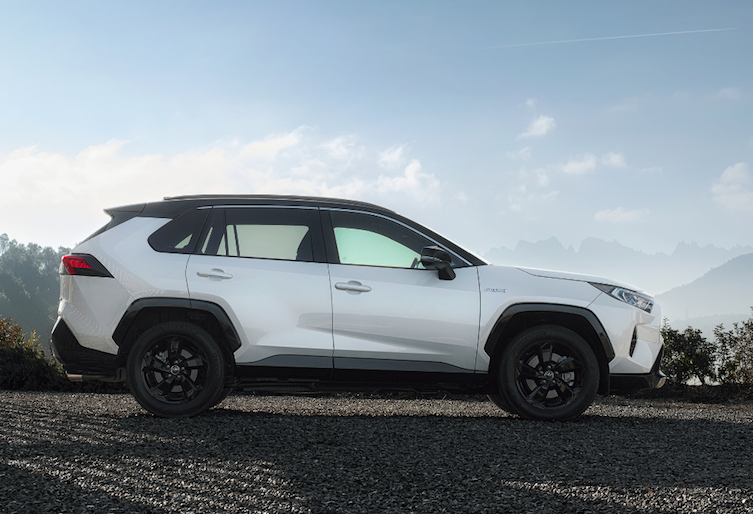 Toyota has delivered a striking car that bears little or no resemblance to the outgoing RAV4. We’ve been testing the car in Spain at its European launch. Outside, angular styling, a lowered stance (-10mm), wider body (+10mm), longer wheelbase (+30mm) and squared off wheel arches are some of the design features that deliver on the Japanese giant’s promise to make no more boring cars. 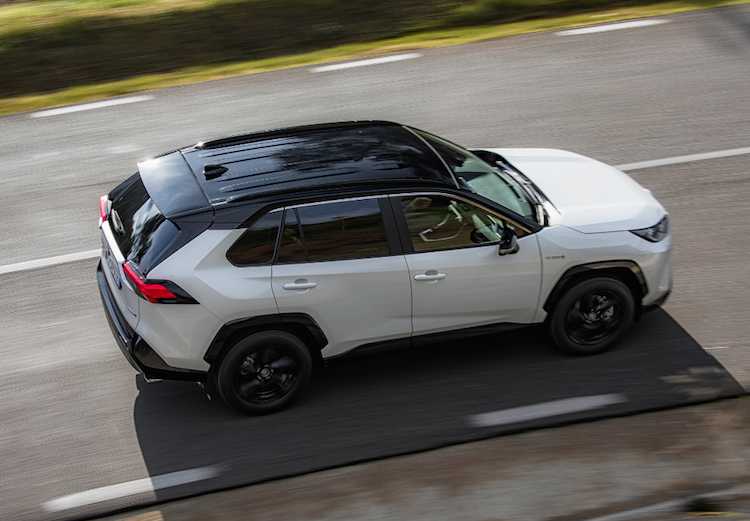 RAV4’s side mirrors are moved back from the ‘A’ pillar to improve side visibility and rear three quarter visibility is improved also with more glass in the ‘C’ pillar area. The boot is bigger and Irish cars get a space saver spare as standard (542 litres). A two position and reversible deck features and electronic tailgate opening/closing is optional. Inside, the cabin gets a radical makeover too and has more passenger space and better stowage areas. Is RAV4 just a bigger C-HR? No. It’s a distinct machine that sits clearly in the class above in both stature and price. Refreshingly the new brave design treatment goes against the photocopier approach of some carmakers! 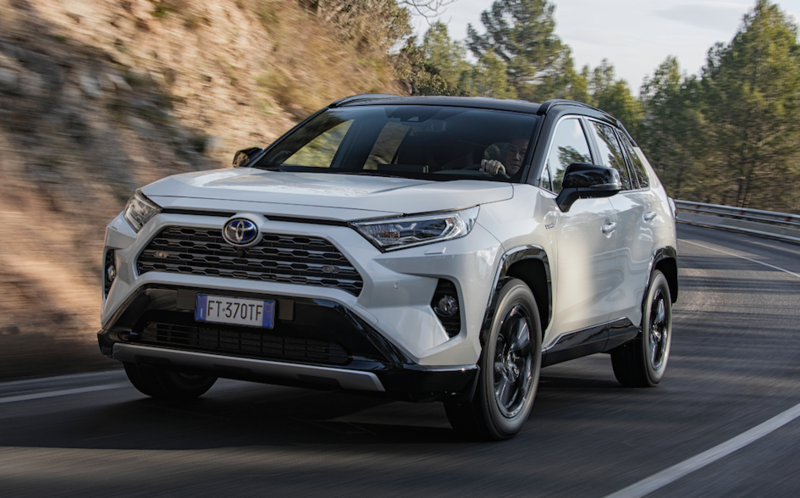 The new generation RAV4 comes in two (FWD) and four wheel drive (AWD-i) form and we’ve driven both at its European launch in Barcelona. All RAV4s are now petrol hybrids – so while diesel fans will be disappointed Toyota Ireland is confident of winning them over to its ‘self-charging hybrid’. Six in 10 Toyotas sold in Western Europe are hybrids. 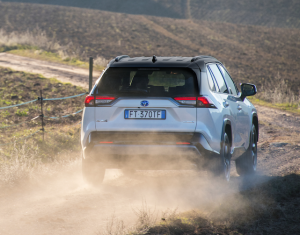 The urban SUV gets its power from a very efficient 2.5 litre petrol engine combined with either one (FWD) or two (AWD) electric motors. Toyota’s tried and trusted Ni-MH battery technology is used – not lithium-Ion. The rechargeable battery pack is mounted under the rear seats and it sends power to the electric motors as needed. The AWD gets its drive directly from the electric motor with no mechanical link to the front axle. 0-100km/h takes just over 8 seconds and power output is 218hp (FWD) and 222hp (AWD). On the urban streets of Barcelona the RAV4 was in its element. The hybrid system works away effortlessly and the driving position and general ease of use make the RAV4 a desirable family car. Our test car had the novel rear view camera/mirror that could be used conventionally or switched to a TV screen to display the rear view via a boot-mounted camera. This expensive bit of kit is unlikely to be available on Irish RAV4s but it is a nice party trick and definitely a USP in its sector. 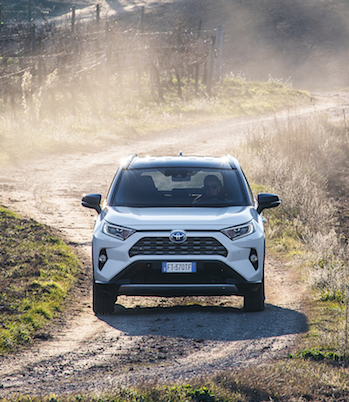 While the car’s ground clearance is higher than the last generation the RAV4’s center of gravity is lower. 51/49-weight distribution features in the new car. On twisty roads the RAV4 likes to go at its own pace – especially in FWD form. Push on in the FWD and the car’s front suspension loads up when cornering and needs more steering input than rivals. I didn’t enjoy the mountainous route in the front wheel drive machine as much as I would in many a rival SUV. The CVT automatic transmission was noisy and irritating compared to the Honda CRV Hybrid for example – a car than manages to mute the annoying whine better. In fairness to Toyota it is only when accelerating hard that that CVT really annoys but about town you will hear it working away. Toyota’s AWD is a much more impressive drive. We took the car on a mountain trail and didn’t spare the horses. The added drive to the rear wheels makes twisty on road routes much more involving. Off road the AWD system works away with no input from the driver needed bar the odd turn of a dial. In ‘trail’ mode the AWD set up can simulate when grip is low a limited slip differential to enhance traction and it works very well. The one glaring issue with RAV4 Hybrid is its towing capacity. The FWD is quoted with a 800kg limit, which is very poor, while the AWD gets a more useful 1,650kg limit that would allow a horsebox be towed. 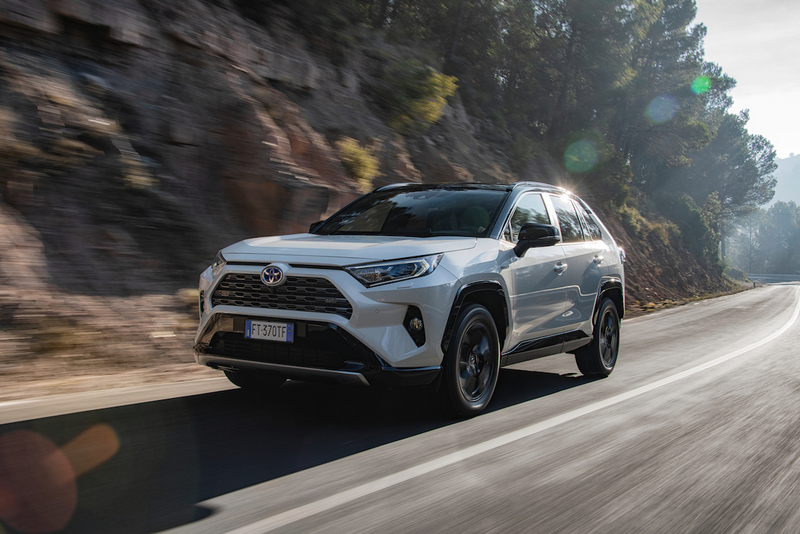 Safety has been significantly enhanced and Toyota Safety Sense 2 features an impressive range to passive and active safety aids. 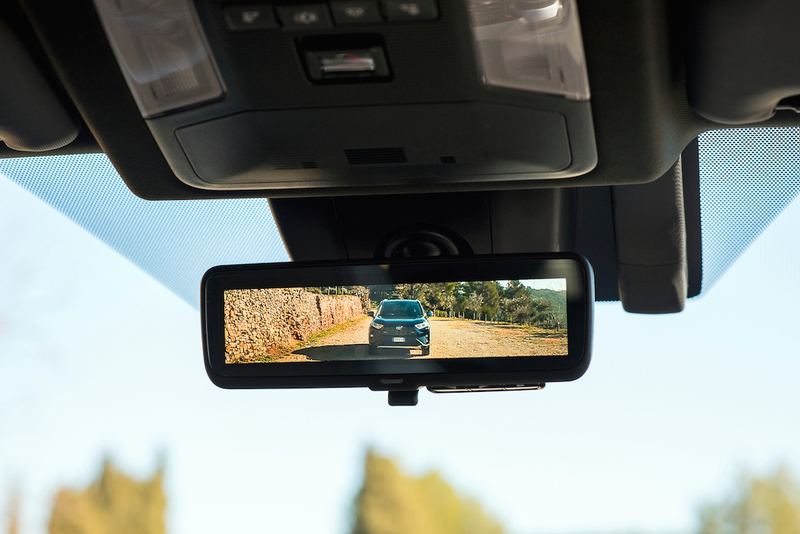 The Pre-collision auto braking system comes with day and night pedestrian detection and cyclist detection (10-80km/h). Road sign assist, lane departure warning and lane tracking assist (lane keeping that is active and similar to level 2 autonomous driving ability), auto high beam headlights, fully adaptive and intelligent adaptive cruise control are on hand to enhance safety. The front wheel drive model is key and starts from €35,900 (Aura) and will be the big seller in Ireland. The AWD is due to land in Ireland mid year and I’d wait for it. There is no AWD pricing yet as it is still under negotiation. 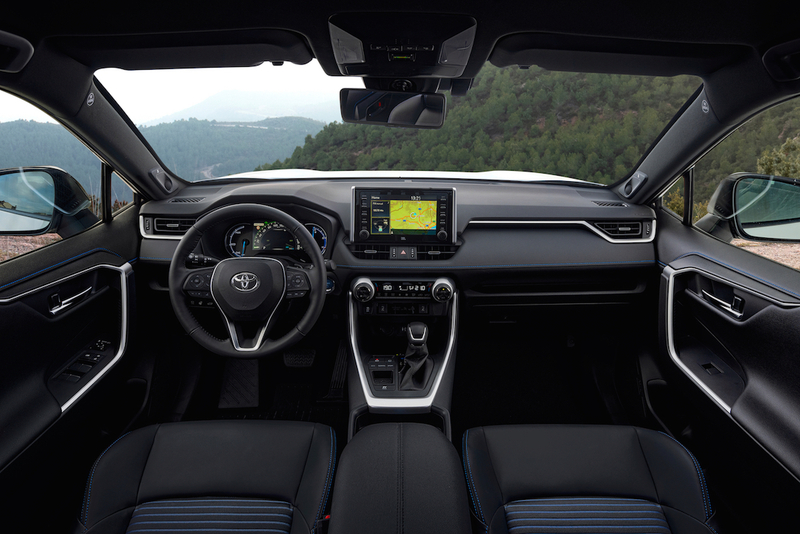 RAV4 grades available are Aura, Luna (similar to the outgoing Luna Sport), Sol, Sport and Platinum that should feature everything bar the kitchen sink! In 1994 Toyota created the SUV category with its sporty RAV4 – a good looking and innovative recreational activity four-wheel drive machine. To coin a Dublin phrase the RAV4 went like stink. Thankfully after a number of very dull variations the latest RAV4 is truer to the original.